For artists, scholars, researchers, educators and students of arts theory interested in culture and the arts, a proper understanding of the questions surrounding ?interculturality? and the arts requires a full understanding of the creative, methodological and interconnected possibilities of theory, practice and research. 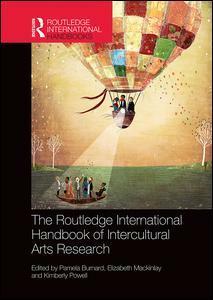 The International Handbookof Intercultural Arts Research provides concise and comprehensive reviews and overviews of the convergences and divergences of intercultural arts practice and theory, offering a consolidation of the breadth of scholarship, practices and the contemporary research methodologies, methods and multi-disciplinary analyses that are emerging within this new field. A poetical journey: in what ways are theories derived from postcolonialism, whiteness and poststructural feminism implicated in matters of intercultural arts research?